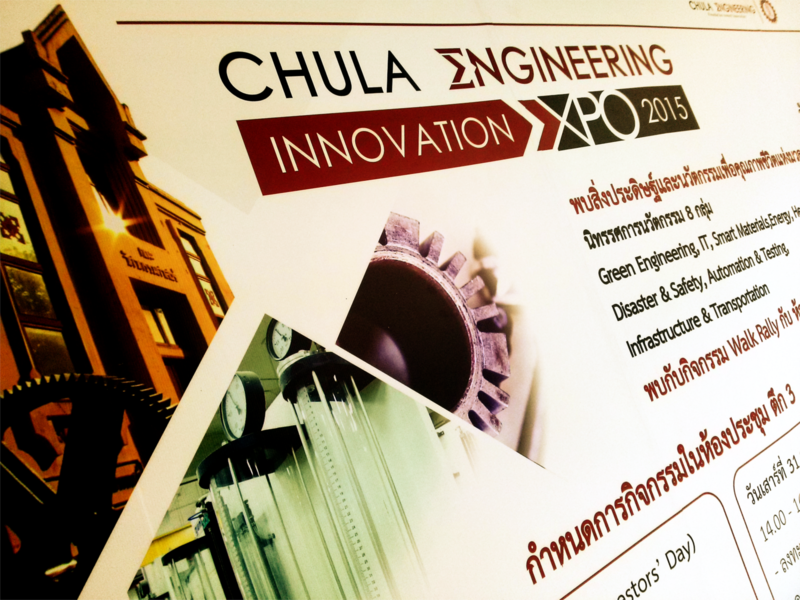 January 31, 2015 -- Progress Thailand Drones, robots, 3D printing, titanium implants, medical gear, alternative energy, Arudino and Raspberry Pi sensors, smart grids, smart LEDs, and most importantly, very smart students and professors, made up this year's Chula Engineering Innovation Expo 2015. Everything from energy and manufacturing to healthcare, automation, and agriculture were being showcased. 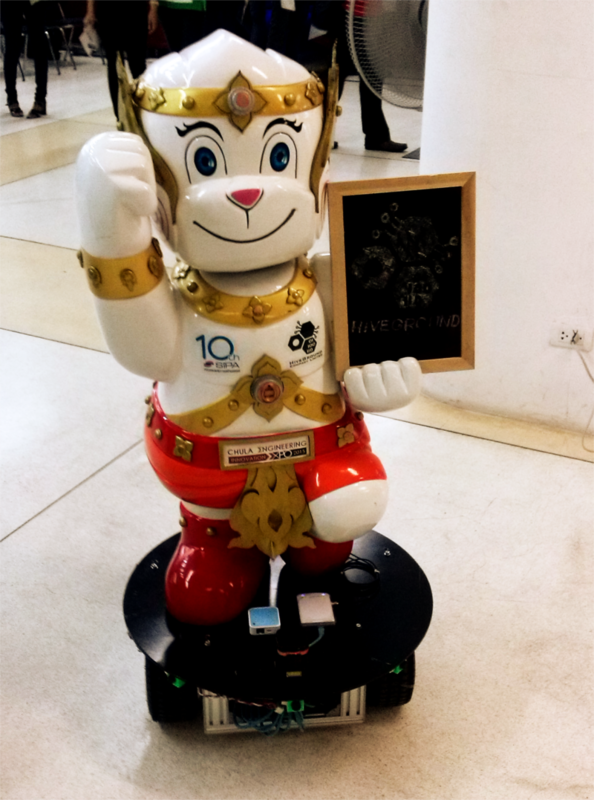 A tension generator for cell culturing and a roving robot welcoming guests, both projects of HiveGround (a team formed by Chula alumni), showed off the variety tomorrow's engineers and designers of Thailand posses. A team of students for their senior project built from scratch a stereolithography 3D printer using open source software and an Arduino Duo for a controller. There were also titanium implants on display. Created by scanning a patient's injuries and developing an implant by printing it in 3D using wax, then using the wax for casting the final part in titanium, the entire process takes under 24 hours. 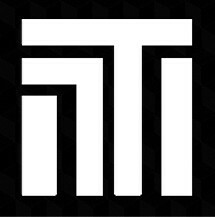 The timely manner and accuracy implants can be produced with is perhaps the most striking aspect of the project. Agricultural tech included a biogas reactor used to help engineers better understand the production of gas under different conditions, allowing them to build better gas production systems in the future. There was also an aquaculture filtration system being demonstrated. A smaller model of a much larger system used for experiments on campus, it showed the process of removing ammonia and other waste that is produced by fish farming. Rounding up agricultural tech was an enclosed, automatic compost reactor. Using anaerobic digestion, organic material is broken down and converted into high-value organic fertilizer. The device, while only a prototype, resembled a high-tech appliance that would be welcomed in an urban agriculture enthusiast's home. 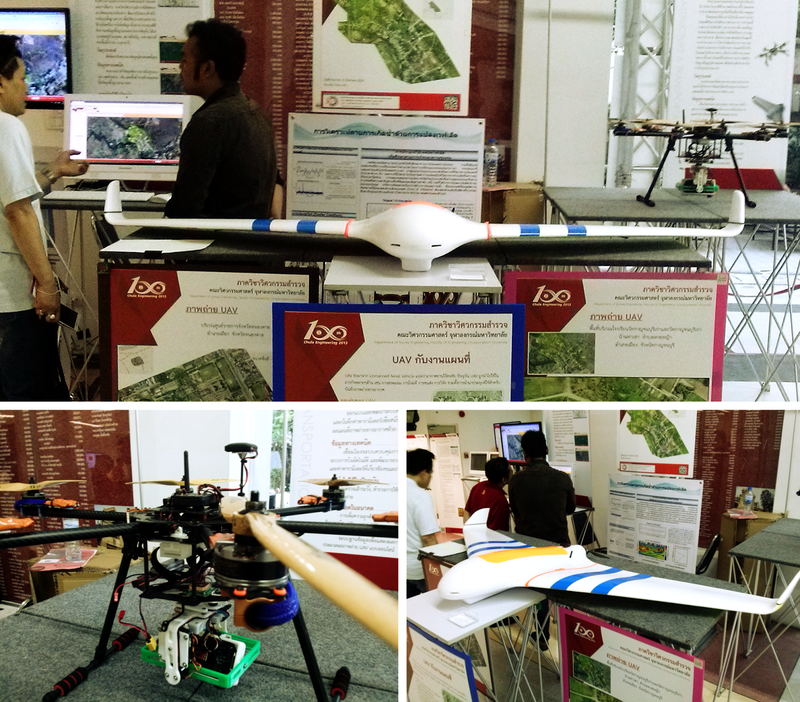 Mapping drones including a long-range fixed-wing model and a shorter-range mutli-rotor design were on display, as were the high-resolution maps they've produced. Finally, energy and automation occupied several booths. 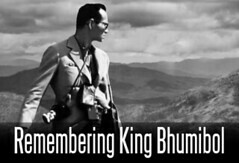 The "Chulalongkorn University Building Energy Management System," or CUBEMS for short, is a complicated name for an elegant energy management system. The app is slick and takes a mundane subject like "energy management" and turns it into something out of Star Trek. Stats for energy consumption in every room of 6 buildings in total across Chula's campus are at a user's disposal. Everything from temperature to lighting conditions to humidity and motion is recorded and displayed in real time. 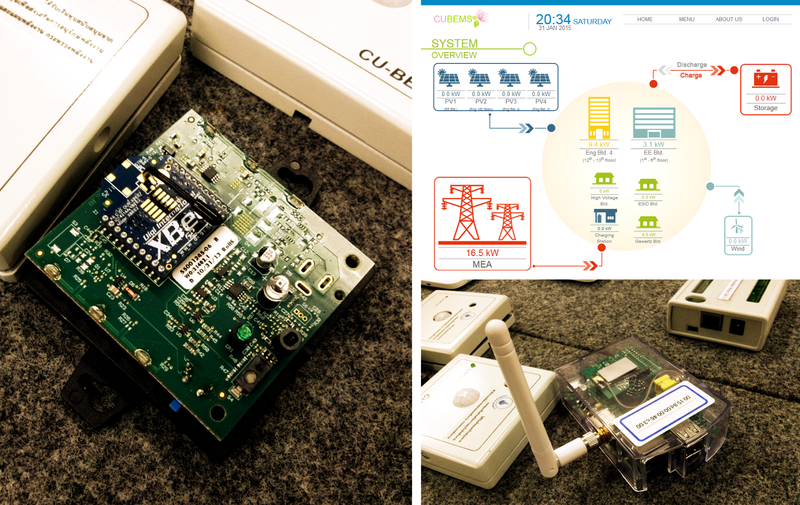 CUBEMS knows all of this because in each room and on every floor, are sensors using open source Arduino and Raspberry Pi to relay the information to the central network. XBee, Arduino, and Raspberry Pi's were used to create the sensors that make up CUBEMS. Open source hardware and other mainstays of the maker movement are finding their way into mainstream academic engineering. Not only are these stats available, but the ability to set automated profiles, or manually adjust lighting and temperature in any of the rooms on the network is possible. Users in each room will also receive notifications if quotas on energy consumption are set and they are about to exceed them -- sort of like a data plan. Professor Bancha Ounpanich was also displaying projects dealing with smart systems, automation, and environmental controls. His LED project sampled light in a room using an sensor then adjusted the light level automatically. Another project included an artificial environment where temperature, humidity, and oxygen levels were controlled automatically. The system was cheap to build but the results were more than effective, replacing very expensive commercial equipment and allowing students the ability to conduct more tests and research. The expo was exciting and informative, with many inspirational students and instructors sharing knowledge and helping shape the future today, literally, with the devices we will hold in our hands tomorrow.